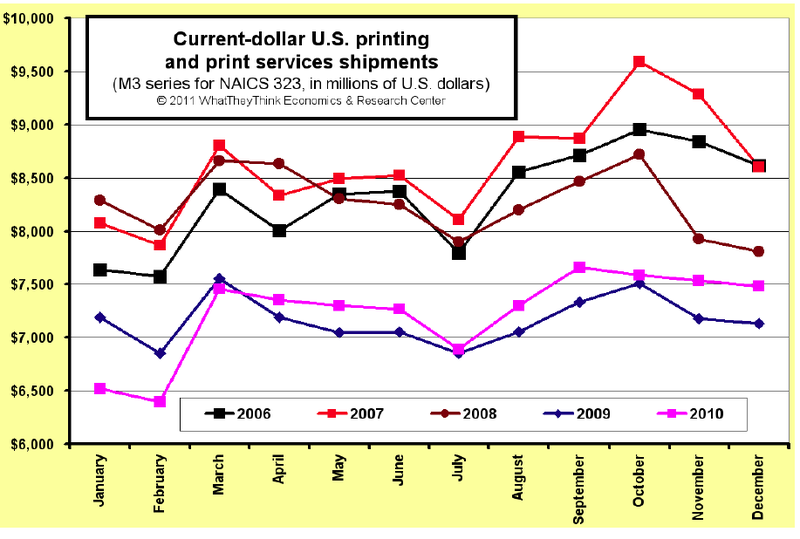 The first quarter of 2011 continued a welcome continuation of profitability for the industry. 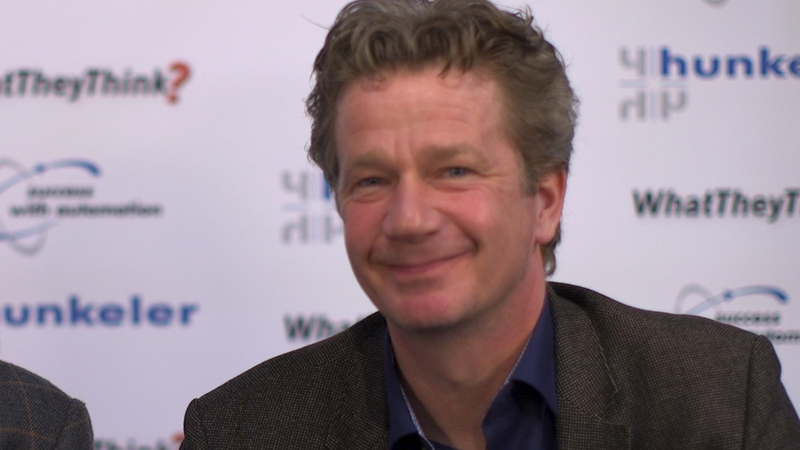 The industry shakeout of unprofitable businesses, and the better management of healthier businesses continues to create an improved bottom line, but there are still great challenges ahead. 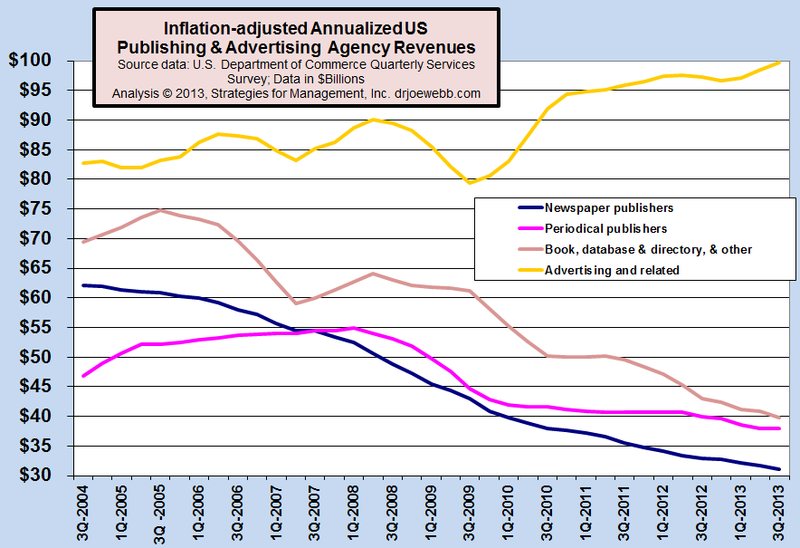 The restructuring of the industry will be a continuing process in 2011 and beyond. 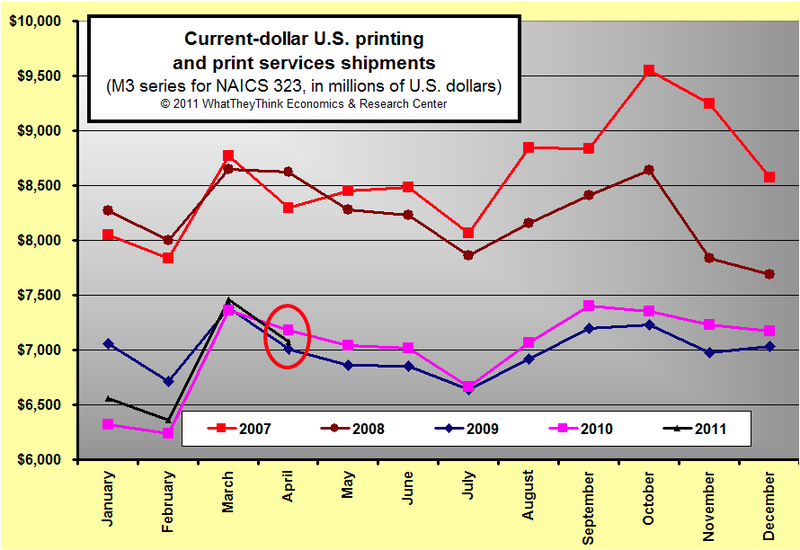 April 2011 commercial printing shipments were $7.08 billion, down -$109 million (-1.5%) compared to 2010. Adjusting for inflation, shipments were down -$366 million (-4.5%). 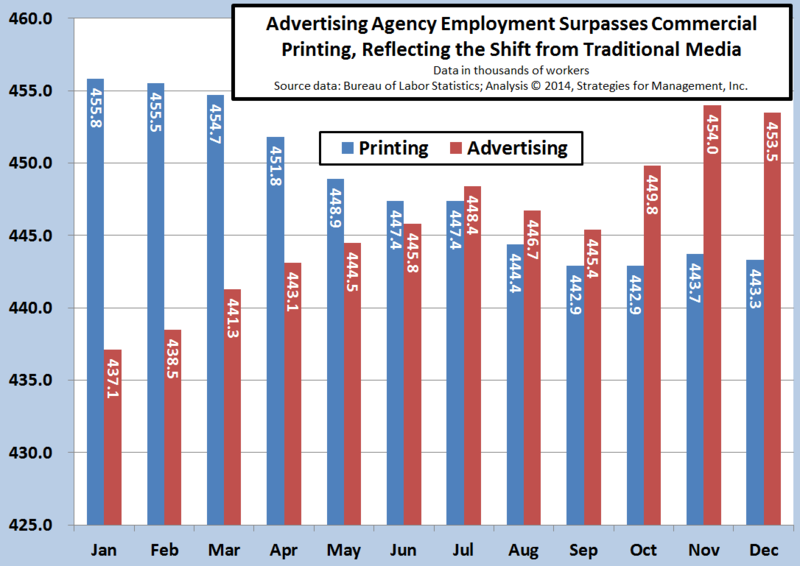 March printing shipments were up, resulting in 12 consecutive months of increase. Dr. Webb explains how the easy comparisons to the prior year are about to end, and that the balance of 2011 will be about the same as 2010. 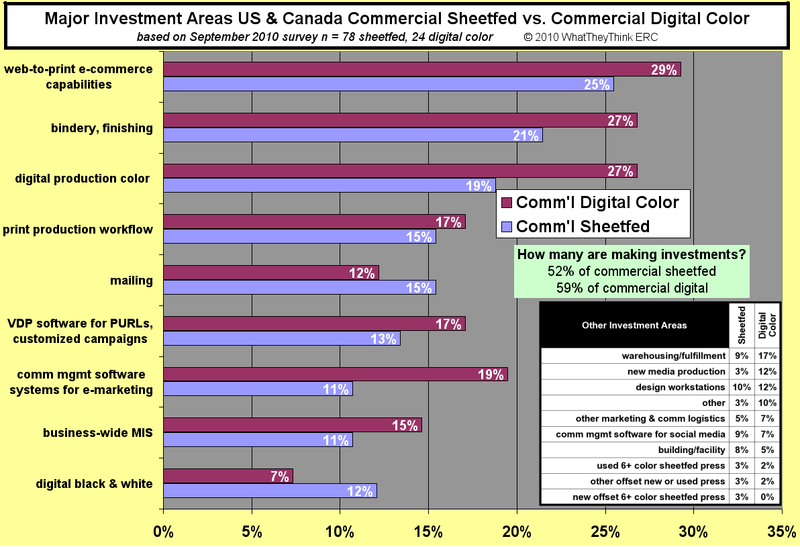 He reviews the upcoming data revisions from the Commerce Department on May 13, the importance of inflation adjusting company financial data, and the shipment rates of Canada's commercial printing industry. 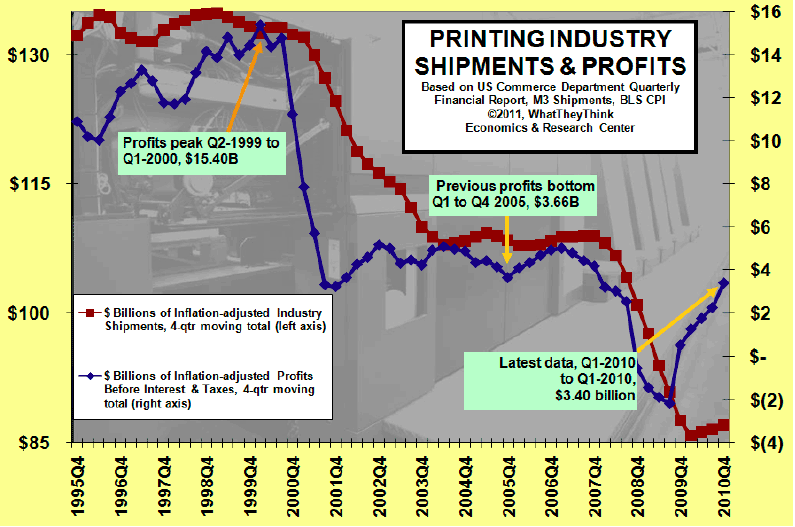 Dr. Joe Webb has compiled reports on US commercial printing profits going back to 1995, and brings it all current to Q4 2010. This report examines the latest trends in shipments, profits and capacity for the industry, of which the Federal Reserve just made revisions going back almost 25 years. 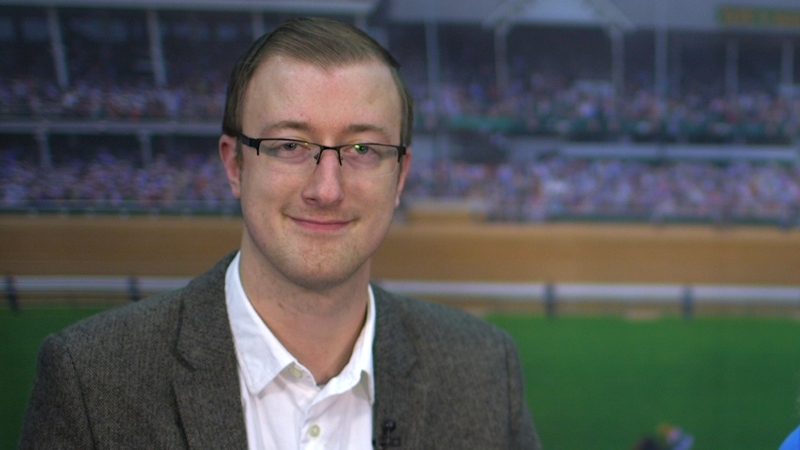 How does Joe recommend printers steer the course? 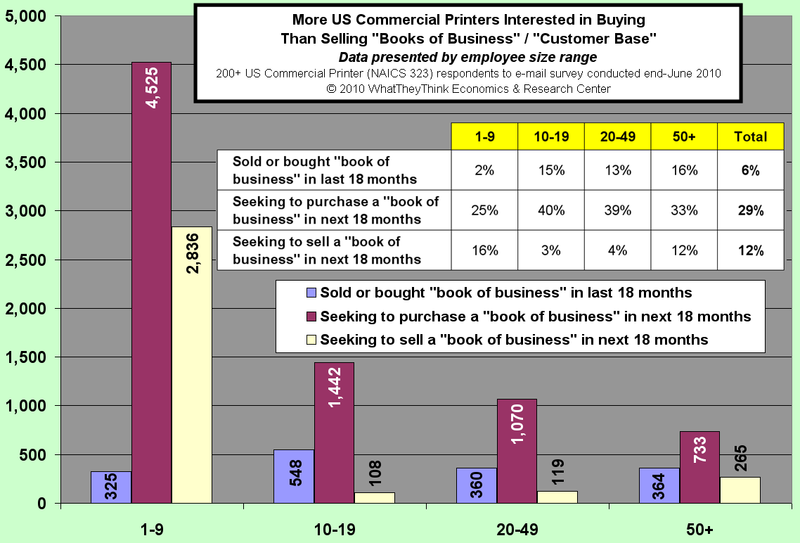 What will it take to get the print industry out of the hole? Dr. Webb has insights that can help. 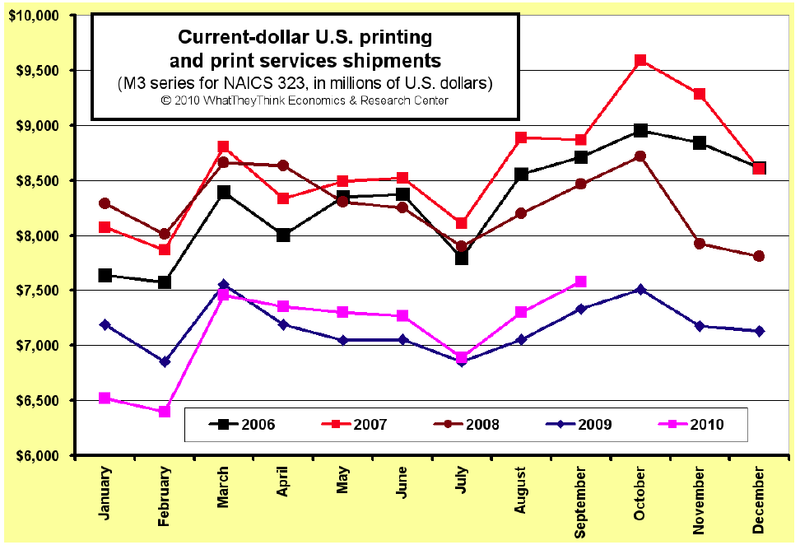 Dr. Webb looks at February's shipments, Canada's January shipments, and updated forecasts for the North American printing industry to 2017. 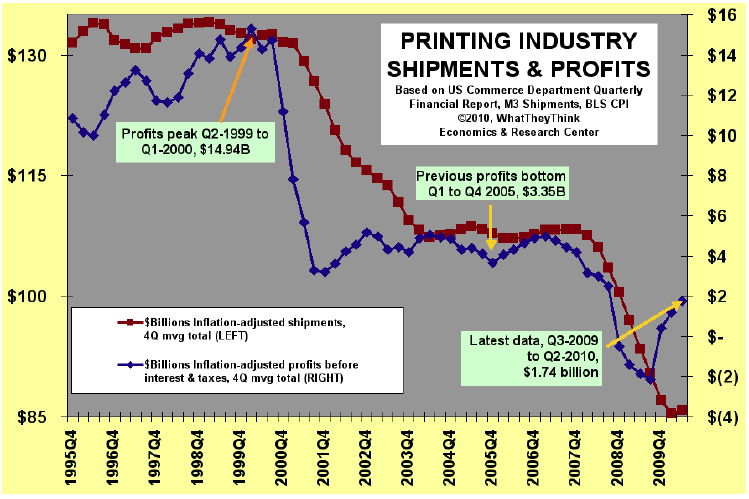 There's an updated GDP Forecast model and commentary on why that model is not totally reliable for forecasting the print industry. Will the rest of 2011 be as positive as January and February? 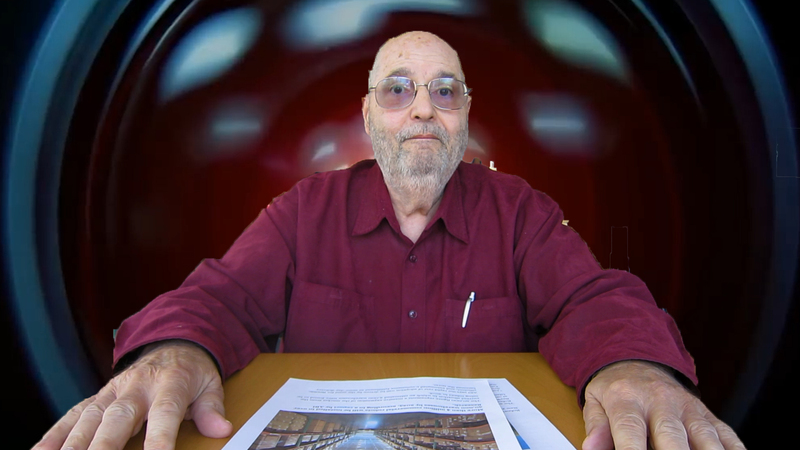 Dr. Joe discusses. 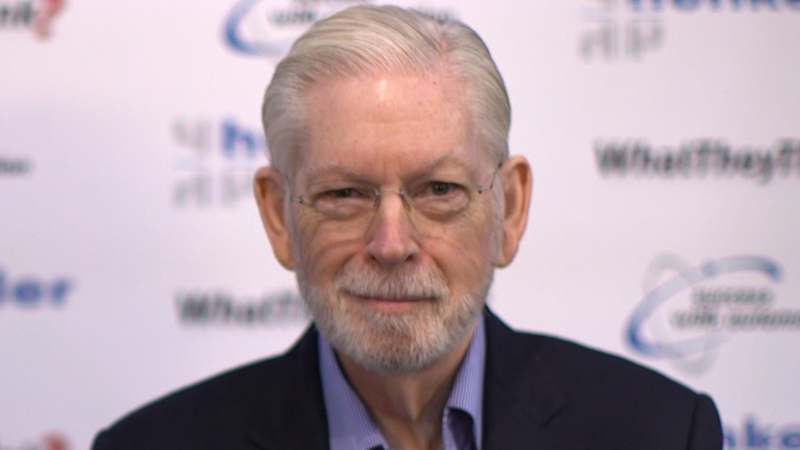 Dr. Webb comments on what the forecasting models are projecting for shipments out to 2017. 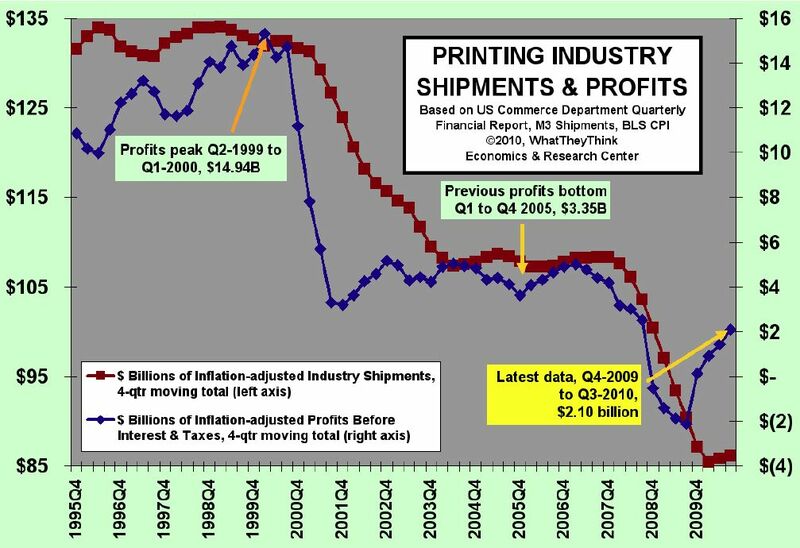 The podcast also includes an analysis of how the industry has changed between 2000 and 2009 based on the latest data from the Commerce Department. 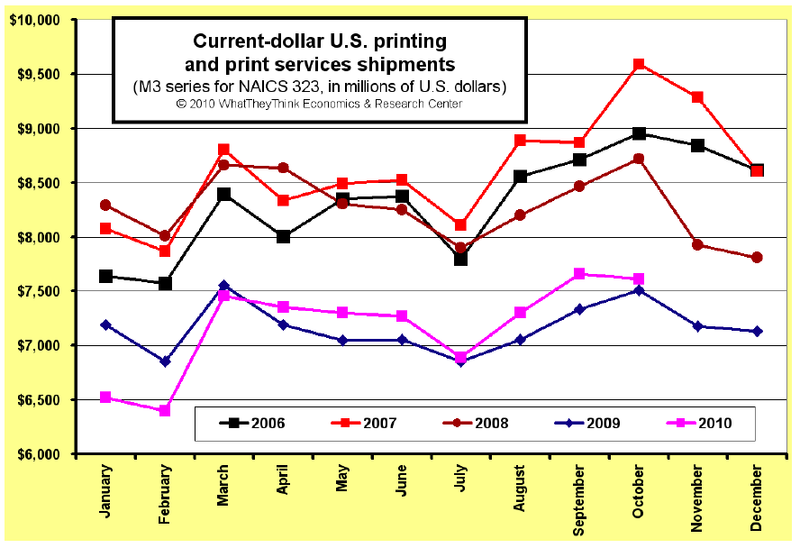 December 2010 commercial printing shipments were $7.48 billion, up $347 million (+4.9%) compared to 2009. Adjusting for inflation, shipments were up +3.3%. This brought the year's shipments to $86.7 billion. 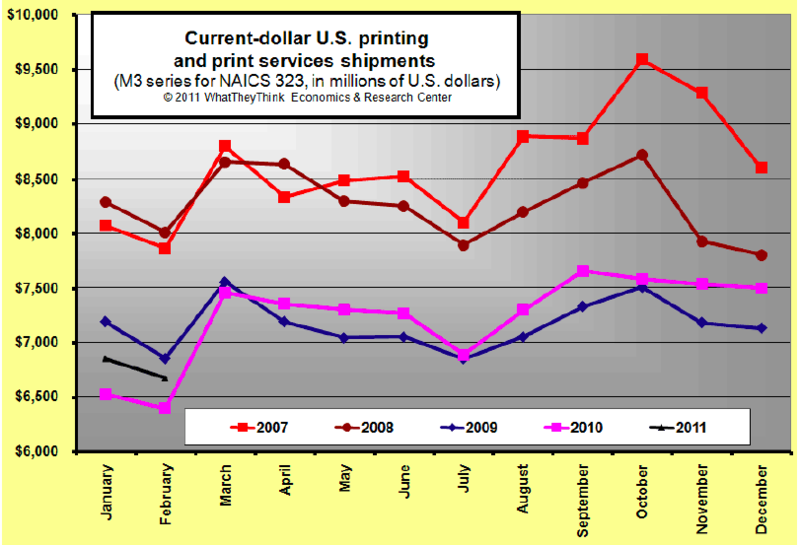 November 2010 commercial printing shipments were $7.48 billion, up $303 million (+4.2%) compared to 2009. Adjusting for inflation, shipments were up +4.2%. “This was a very encouraging month, and continues the consecutive gain in current dollar shipments for eight months,” explained Dr. Joe Webb, director of WhatTheyThink's Economics and Research Center. The third quarter of 2010 continued a welcome continuation of profitability for the industry. It has had seven consecutive months of increased sales, but it's clear that the profits trend is increasing, but the long term sales trend is flat. 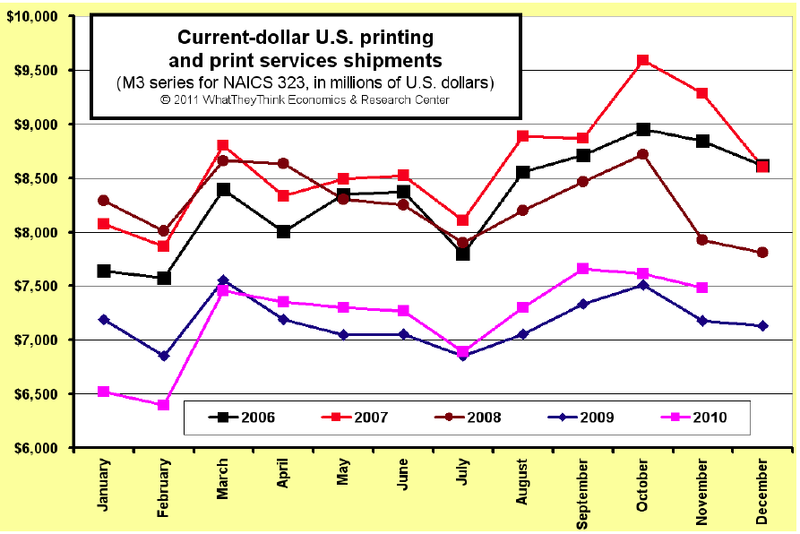 October 2010 commercial printing shipments were $7.61 billion, up $108 million (+1.4%) compared to 2009. Adjusting for inflation, shipments were up +0.3%. 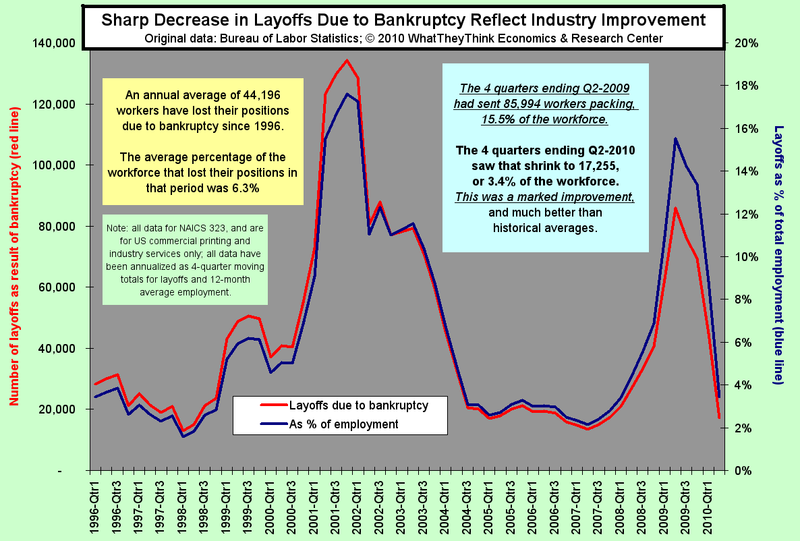 Even something that sounds bad, like the number of printing industry layoffs due to bankruptcy, can be good if they're declining. 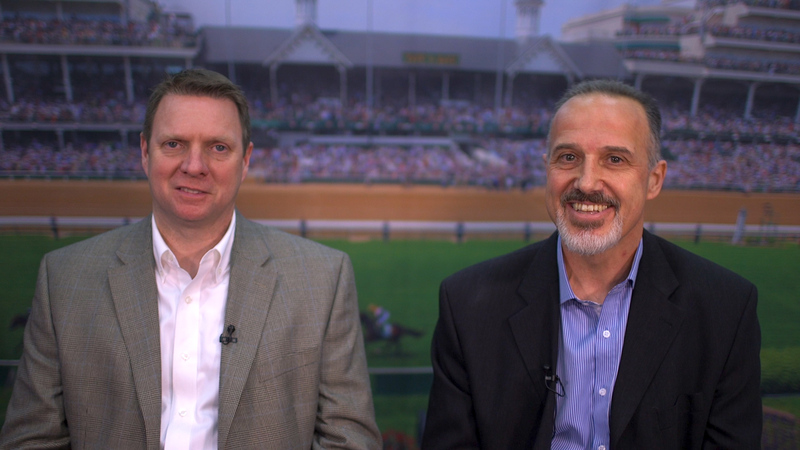 Dr. Joe explains the sharp decline in the last four quarters and why it's very good news. 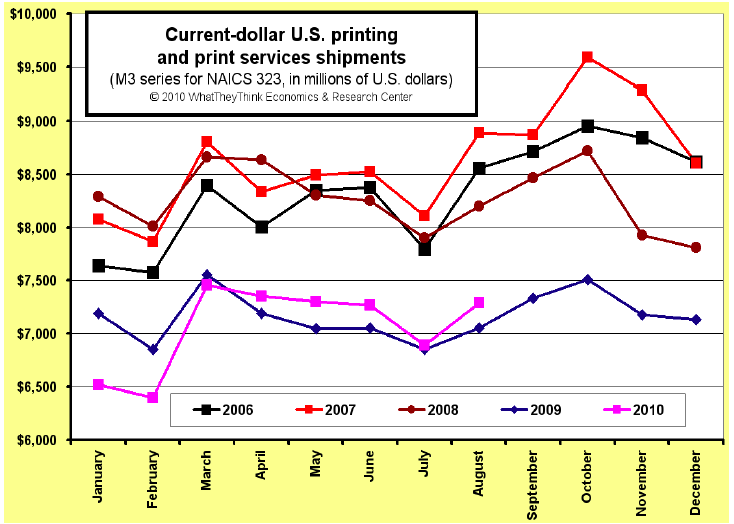 September 2010 commercial printing shipments were $7.58 billion, up $248 million (+3.4%) compared to 2009. Adjusting for inflation, shipments were up +2.2%. 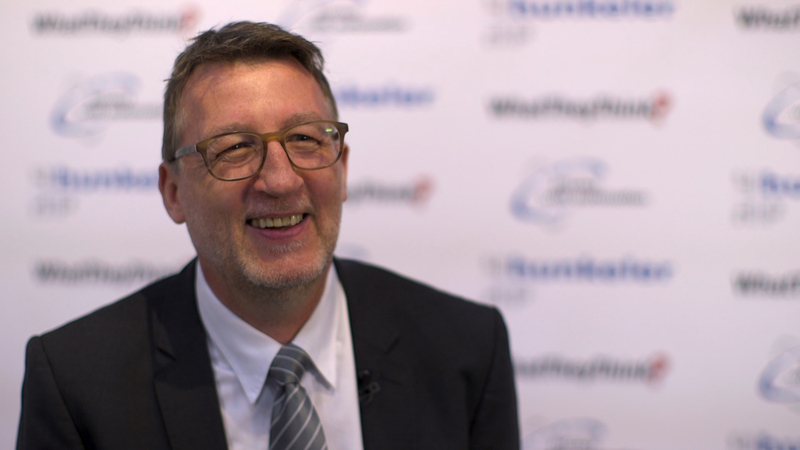 “This continues the consecutive gain in current dollar shipments for six months, a welcome change for commercial printers,” explained Dr. Joe Webb, director of WhatTheyThink's Economics and Research Center. 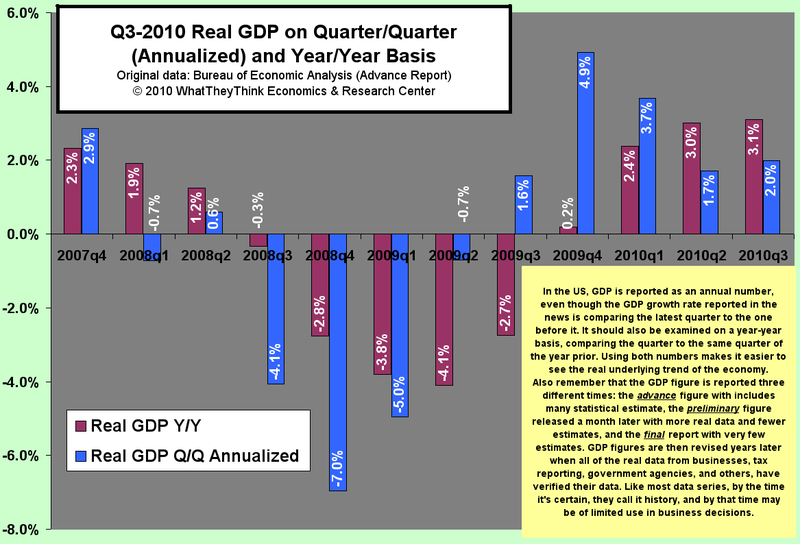 Dr. Joe looks at the advance report for GDP in 2010's third quarter and explains what it means, what it doesn't, and why it might be worth ignoring. 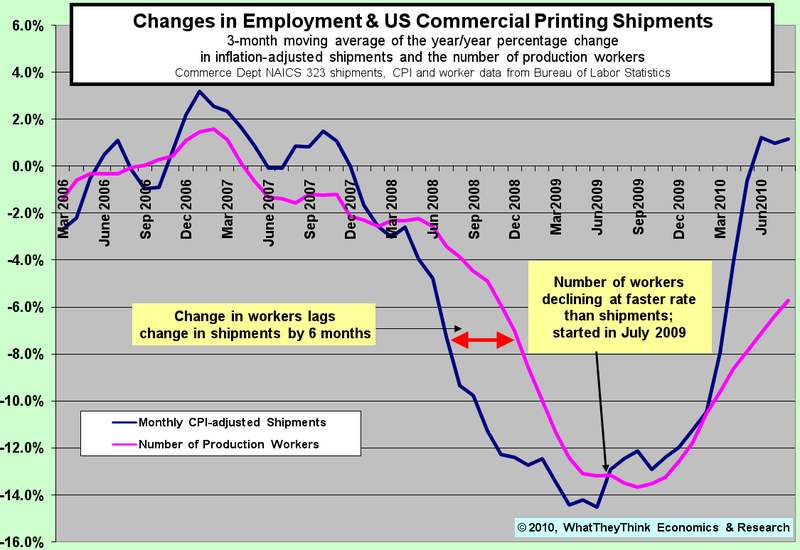 Dr. Joe updates his look at the recent trends in printing industry employment and the last five months of increased sales are playing out. 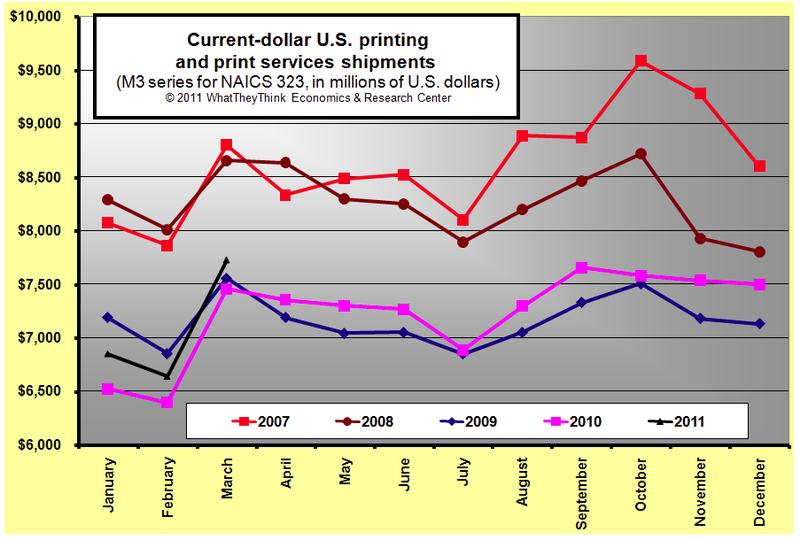 August 2010 commercial printing shipments were $7.3 billion, up $235 million (+3.3%) compared to 2009. Adjusting for inflation, shipments were up +2.2. 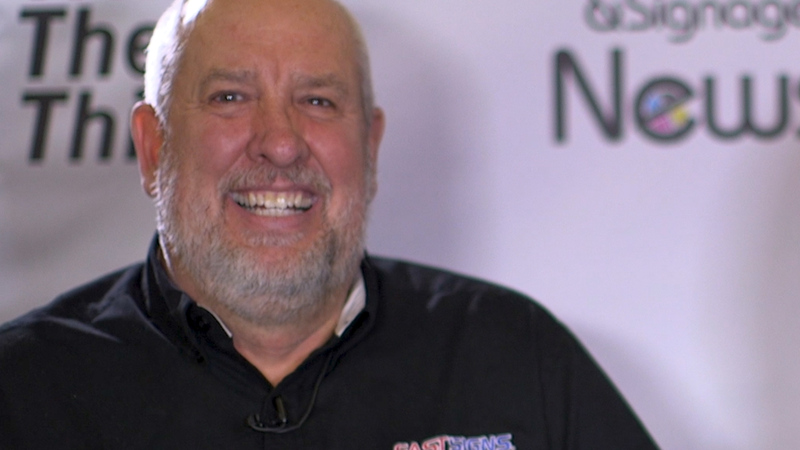 Dr. Joe explains the latest Institute for Supply Management manufacturing report in terms of its key components of new orders, prices paid, employment, and imports. 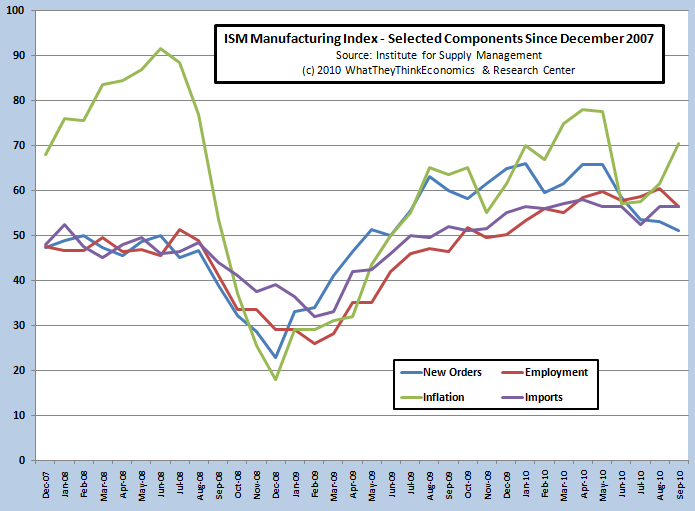 The manufacturing side of the economy is still growing, but it looks like it's slowing down, and inflation is starting to creep into the system. The second quarter of 2010 continued a welcome continuation of mild profitability for the industry. 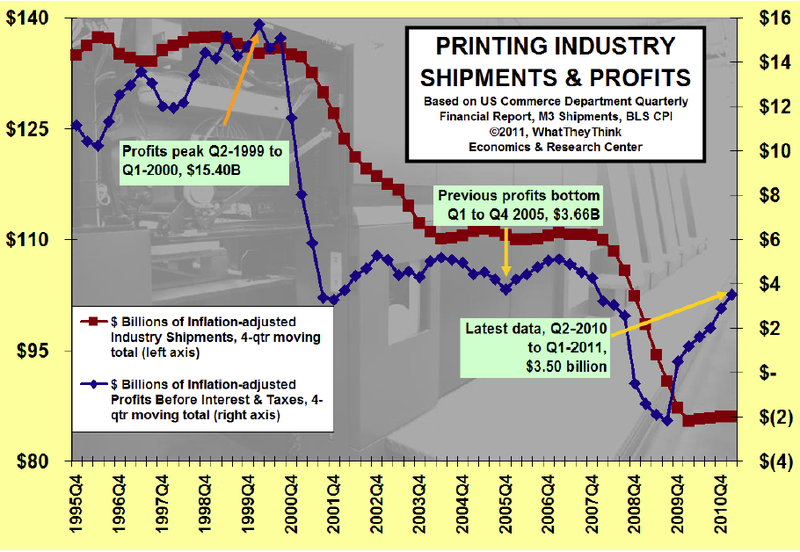 Much of the industry is still recovering from a very difficult 2009, and two quarters of profits can't really make up for that. But we're on the right track, even though there are still challenges ahead. 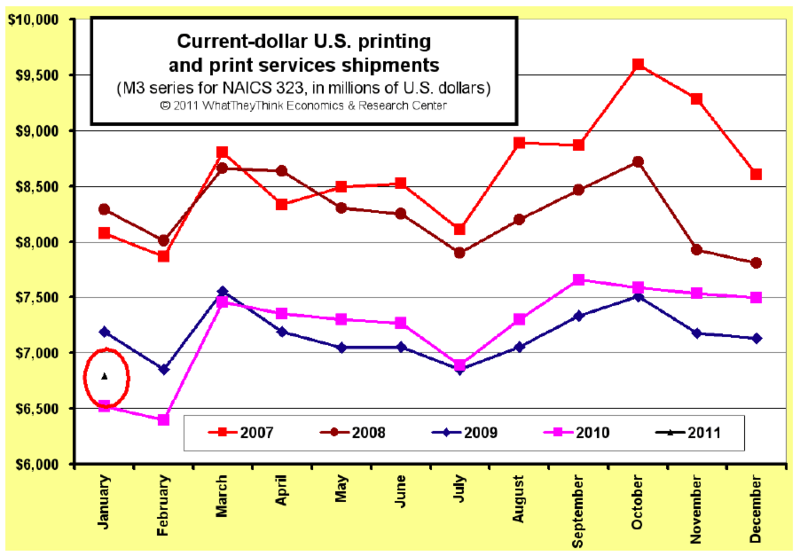 July 2010 commercial printing shipments were $6.87 billion, up $18 million (+0.3%) compared to 2009. Adjusting for inflation, shipments were down -1%. 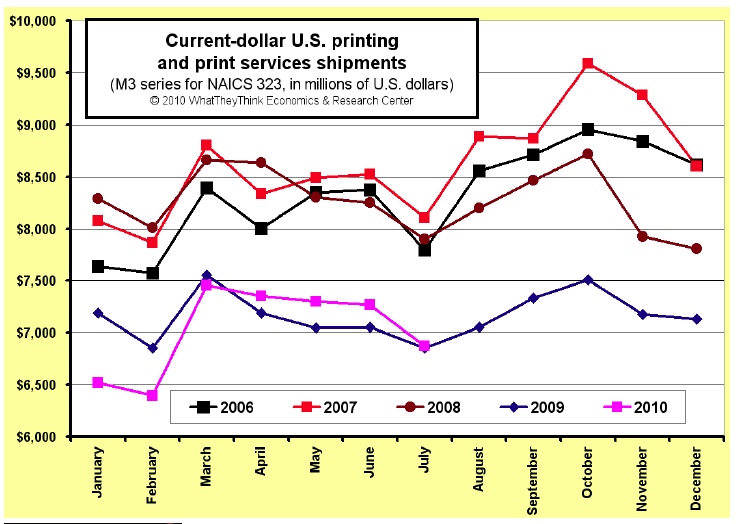 This continues the consecutive gain in current dollar shipments for four months, the first time we have had a period of that extent since November 2007. How have magazines changed over the last 10 years? 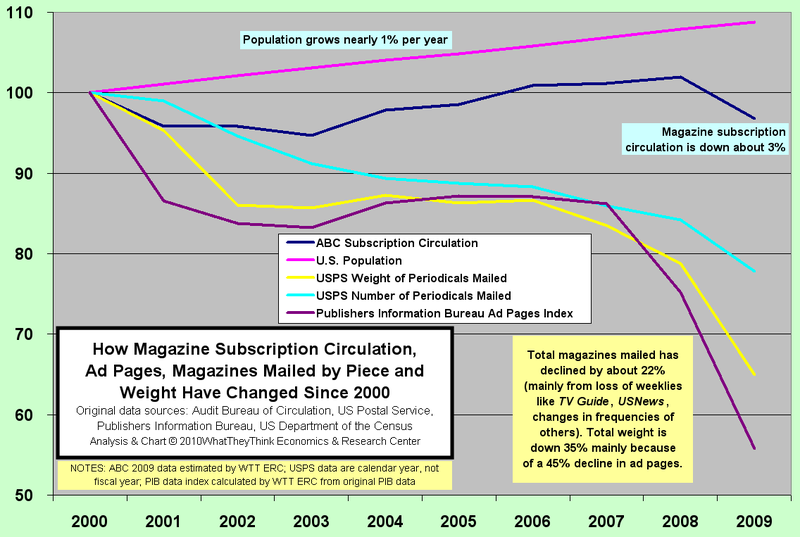 Dr. Joe looks at subscription circulation, ad pages, postal shipments and weight, and what they tell us about this critical segment of our industry. 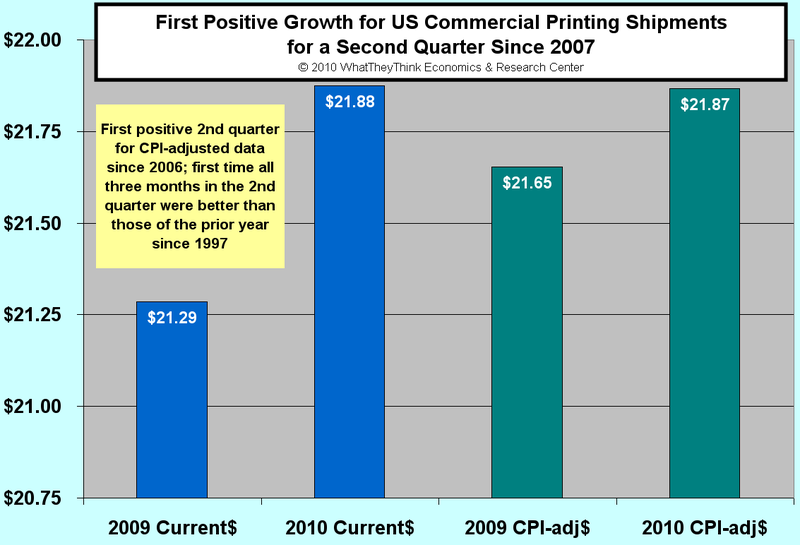 June 2010 commercial printing shipments were $7.2 billion, up +2.4% compared to 2009. Adjusting for inflation, shipments were up +1.3%. “This is the first three month gain in shipments on an inflation-adjusted basis since the period of October 2006 through April 2007.
Who's buying and who's selling? 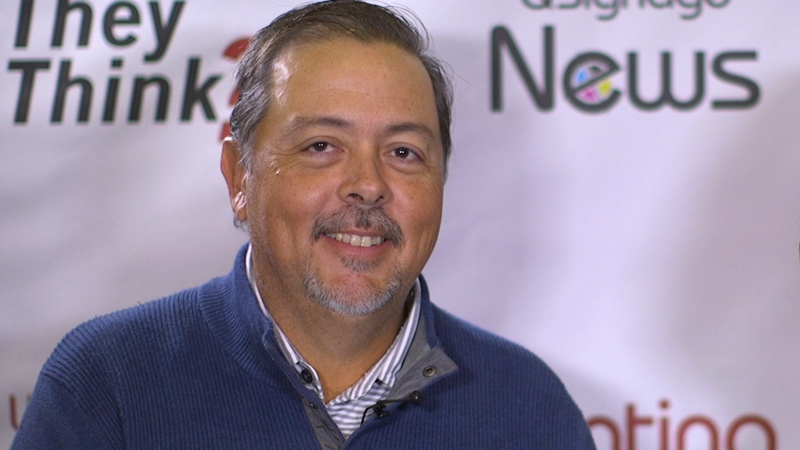 The print business has been consolidating, and we're certain there is more to go, especially with the popularity of "tuck-ins." Dr. Joe explains why "tuck-ins" are not about what you should do with your shirt, but how it has slowly been creating a more efficient industry. 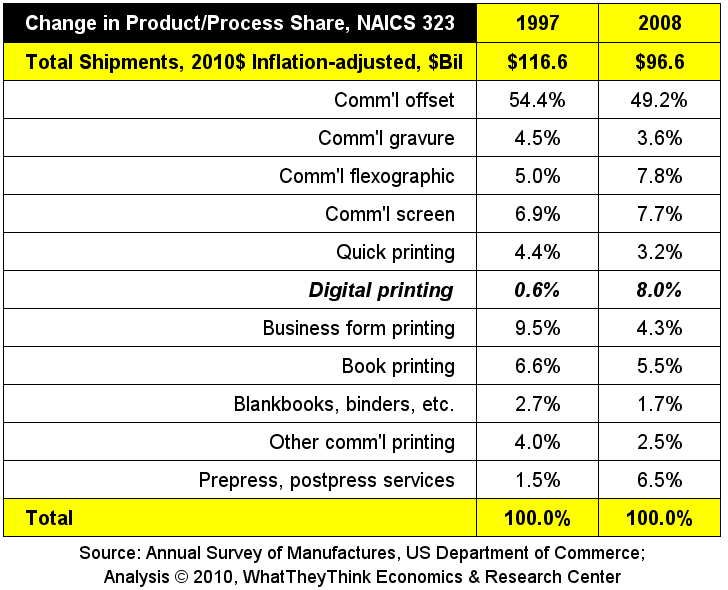 Dr. Joe discusses how commercial printing segments have changed their share of industry shipments from 1997 through 2008, and why digital printing's share might be even larger than the data indicate.